"You think I'm perfect? Bang on my chest if you think I'm perfect. Go ahead. Bang on it!" Okay, so before you get all "Brett, Christmas is the time to reflect on the birth of our Savior," let me just say, you should read the post below. I gave Jesus His props. I repeat: Christmas is so totally not all about the gifts you get. But after seven years (yes, seven, a.k.a. how long Jacob worked to win the marriage of his beloved Rachel in the Old Testament) of being obsessed with all things Wicked (the musical, not the adjective)... I FINALLY GET TO SEE IT!!!!!!!!!!!!!!!!!!!!!!!!!!!!!!!!!!!!!!!!!!!!!!! 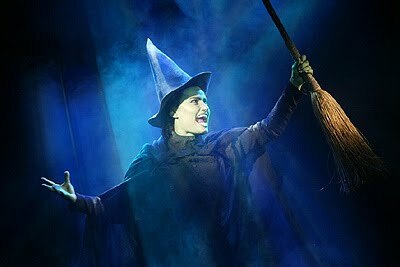 Since 2003 when the Broadway show opened, I have run a collection of Wicked paraphernalia. Posters, baseball cap, soundtrack, piano music, daily planner, calendar, journal, t-shirt, you name it. So you can imagine what my heart did when I found that the touring Broadway cast was coming to the Landmark Theater in Richmond. It flip-flopped. It dropped. It filled up with gladness and excitement. It did all of the things a heart could possibly do. Even stop. Well, my parents were crafty indeed. Pretending that the show was "too expensive" and that it was "during the school year" so I couldn't "come home an see the show anyway." 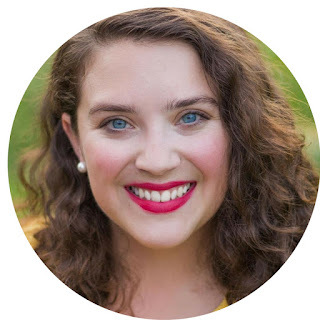 If you're a new reader, or a dedicated, faithful reader who doesn't read carefully, or if you don't know me at all, I like Broadway musicals. A lot. I also like the Wizard of Oz. A lot. I also like Judy Garland and red shoes and the song "Over the Rainbow." I like those even more. This morning, by our perfectly decorated, sparkling Christmas tree I unwrapped a Wizard of Oz calendar. Perfect. My mother looked at me and said, "Brett, open the calendar so we can see the pictures." "Mom, I don't need to open it. I can see the pictures on the back." Then I noticed, a piece of scotch tape was holding the bottom of the cellophane closed. Hmmmm...Could it be? It couldn't be...could it? It's too expensive...they said "no," so it couldn't be possible. But, wouldn't it be...just...wonderful? And then, like a dream, I flipped the calendar page to the month of March. A very good month indeed. 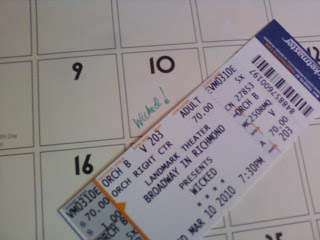 Taped to the 10th was my very own, wizardly, Wicked ticket. At 7:30 p.m. on March 10th, 2010, my life will no longer be Wicked-less. Let the countdown begin!